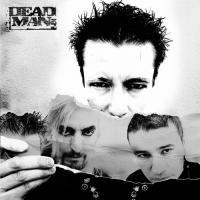 Deadman have a lot of virtues as a rock band: great music, best musicians and originality. Also love for all music genres, respect and effort to support any other bands. But it isn't this post object. Unfortunately, we speak (and write) english badly, and we can't express correctly to transmit our appreciation for a special Deadman's effort which not seen with the naked eye. This is: incredible correction to write posts in spanish, even better than some other native spanish. As little tribute, we tried to write this post in english, but knowing our limitations in this language and (sure) deficient spelling and outdated expressions. We think that Deadman demostrates a very deep interest in spanish culture and, above all, the greatest respect for all of us who write in this forum. And all of this deserves a public recognition. Please, this post is not to show HellkinKis's english habilities. Repeat: we speak and write english badly, but every day try to improve (but without success). Probably this post redaction sounds to Deadman like american indian speaking in western movies. We know it. But somebody have to say (and value) Deadman's countless virtues. Sorry again for our english. ...and I with my english patetic say also....The Greatest Deadman!!!! Tranquilo Dani, no estamos muertos todavia - a pesar de nuestro nombre! Gracias Hellkinkis - vosotros sí sois la hostia! Y la gran mayoría de los grupos que forman la comunidad de Gruposmadrid. He quedado sin más palabras! jajajajaja menos mal que Deadman no están Dead Man!!! porque DeaMan molan!!!!!!!!!!!!!!!!!!!!!! !